Here’s one of the most recent major Bible atlases out there. Written by Dr. John Beck, this volume has in its favor being written by someone who has spent much time in Bible lands and is clearly passionate about teaching biblical geography. You will appreciate as a Bible believer his consistent, conservative stance on the subjects you find in a Bible atlas. While he is a scholar, and while he has written in over 300 pages to the extent of particularly scholarly works, he has aimed at accessibility and serious Bible students. He has succeeded in reaching that audience and as a pastor I enjoyed the atlas too. The maps look different than those in other volumes, and sometimes the scope, scale, and even color were not my favorite. As that is of course only a matter of taste, I should point out a careful accuracy in them. There were also plenty of them covering more biblical events than some other major atlases. No matter your own eye for graphics, the educational value of these maps are unmistakable. What especially stood out in this volume to me was the pictures. They were vivid, copious, and gorgeous. I found them a visual treat. They even covered places most Bible tours never get to. The writing struck me as that of a warmhearted preacher. In that many Bible students have learned much from preaching, I feel that increases its value for serious study. 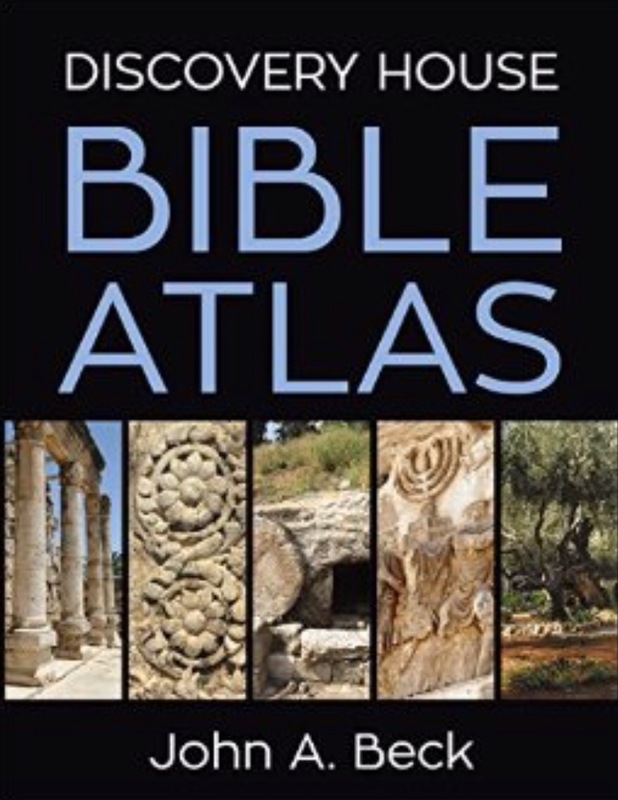 You probably can’t go wrong with this Bible atlas. We all know that A.W. Tozer is a powerful, provoking, and spiritual writer par excellence. Since he died in 1963, we aren’t getting any new titles, yet W. L. Seaver has complied Tozer’s thoughts on prayer from across all his writings and given them too us here. While it can’t compare to his original writings, this volume accomplishes something worthwhile, and , frankly, more powerful than I anticipated. You’ll be hooked in chapter one when he blows up our emergency-only praying. Praying is meant to be a whole-life experience as he well explains. If we would expand our prayer life to every area including the most mundane then we would not have these big blocks of our lives totally out of touch with our Lord. Especially moving were chapters on praying without condition, on wrestling in prayer (he removes much confusion here), and truth has two wings. While those were my favorites, or most personally challenging to me, there isn’t a dud in the book. Seaver gives a small review after each of Tozer’s writings that is well done. If you want to use it with a study guide as well, the section “reflect and apply” is there for you. Some of the later chapters even come from previously unpublished sermons. You wouldn’t have thought a compilation volume could pull off being a major work on prayer, but I think it can worthily take its place on your shelves by the great classic volumes. It’s really that good! 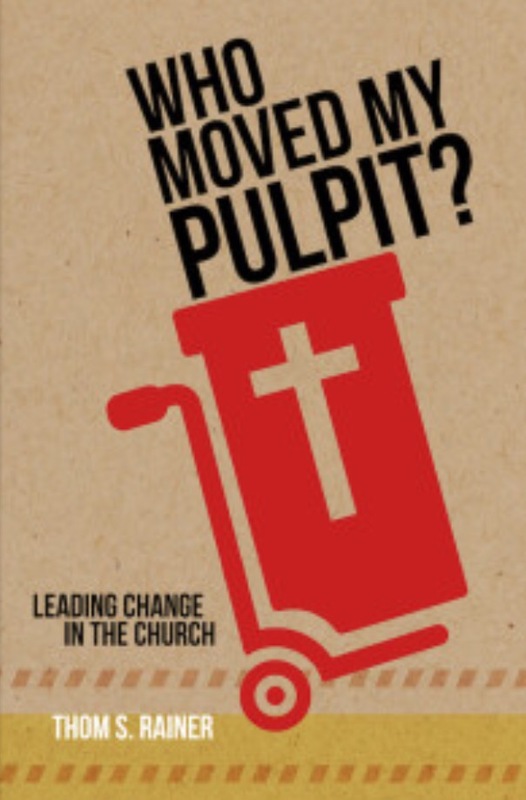 The subtitle “Leading Change In The Church” says it all. Rainer is the premier expert on church change as he has exclusively given his life over to helping with local church issues. It’s the same size as his popular “I Am a Church Member”, but this time he aims specifically at those who are actively trying to change churches from a dying model. Don’t confuse this book with those telling you to change to a specific new model. He only reminds us of our stated mission of reaching people and assumes pastors will seek the Lord about the specific changes needed to bring that out. He focuses on dealing with the inevitable resistance that will be found in most established churches to change. He reminds us that no matter how needed change may be, change can be badly mismanaged and doomed to failure. The bulk of the book is 8 elements of implementing change. These elements have been beaten out on the anvil of hard experience and seem incredibly wise. Rainer is a man easy to appreciate. There is a humility and real concern that pervades his writings. He instructs without a heavy hand and seems to be genuinely rooting for you on these pages. As a pastor, I found real instruction in this volume. It’s another winner from Rainer’s pen. This book is a great read. Besides being a great retelling of a pivotal event in the history of our nation, this volume succeeds in putting Pearl Harbor in its proper context. It clarified what I knew and taught me much that I did not. Nelson divides his book into three main parts. Part 1 discusses the roads to war in five informative chapters. Since you know what is coming, bad judgments jump off the page. Still, it makes for fascinating reading. That the politicians and military brass could be taken that by surprise is shocking and would be unforgivable were it not for the incredible war effort put together every day after December 7, 1941 until victory. The heart of the book is in Part 2 that describes December 7th itself. I loved his taking a chapter for the attack from the air against everything except the ships. It was gripping and you could so visualize the events. When he turned to the battleships it only became more intense and powerful. What many sailors faced is simply beyond description. I loved too how he explained the fear that raged for days after the attack. I felt I got inside the minds of those who lived it on these pages. The last part cherry picked history from the rest of the war and beyond flawlessly to conclude the story of Pearl Harbor. It was the perfect length to make sense of a senseless event. This book is a winner for anyone who loves reading history in a style worthy of a novel with careful reconstruction of events. I imagine you’ll love it. 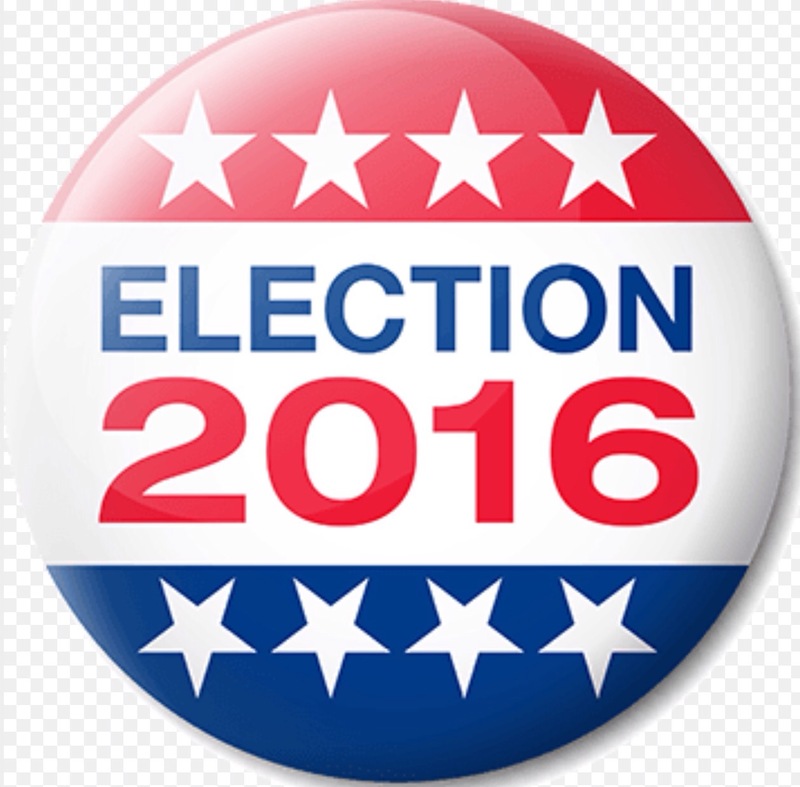 Help Me Predict This Election! I know we can’t get our minds off this election, but I have thought of a diversion. It seems many, especially Christians, are getting angry at each other for not seeing the obvious. That seems to be the viewpoint of both Trump supporters and Never Trumpers. We are accusing each other of awful things for not seeing it as we do. People like me who are having trouble deciding ( to vote for Trump or write-in) are thought by both sides as just plain dumb. There will be a lot of needed healing and fence mending among Christians after this election is over for sure. Maybe we should admit that at this late stage not many are going to be persuaded, but we could from all points on the spectrum, make predictions and share our logic. If you’re like me, you’re not feeling too confident in your political pronogstications as the previous few years results have been bewildering on so many levels. Still, let’s take a stab at it! They are four main possibilities that I will outline and you can predict from there. To help your predictions you might want to glance at 270towin.com to help you decide. When I say big, I’m thinking at least by the margin Obama took in the electoral college in 2012. This is the conventional wisdom out there by pundits as so many polls have turned south on Trump. It boils down to the battleground states like Ohio, Florida, North Carolina, Iowa, New Hampshire, Wisconsin, etc. Trump will win some, but not quite enough to pull it off. Again, it’s about those battleground states and Trump is going to gain just enough. I’m on record for not being impressed with either candidate, but it is intreaging to consider one possibility that not many are suggesting. Trump support may be highly under reported. That would stem from dishonesty of pollsters as many Trump supporters believe, or from another possibility that is less discussed. If you followed the BREXIT vote recently in England, you know that polls reported until the very day of the vote that Britain’s exit from the EU would be easily defeated. When the results came in, it was easily passed. While you might assume pollster dishonesty in that case ( even though polls that are far from correct lose credibility in the next election), there did seem to be genuine surprise when the results came in. What seems to be the explanation is that apparently because of pressure and political correctness many did not feel comfortable stating how they really felt. When they got all alone behind that voting curtain, they took out their frustrations and voted yes. There’s a lot of frustrated people in our country. Some might not want the criticism or even the workplace trouble for sharing how they really feel, but alone in that voting booth they will hold nothing back. That will make for many shocks if it happens. It’s a long shot, but in the realm of possibilities I think. I think the most likely result (that I don’t like either) is that it will fall between # 1 and 2. I’d love to hear your prediction in the comments below! Maybe I will even tally the results in the days ahead. Don’t give your hoped-for result, but your actual prediction. I can’t wait to hear what everyone say. 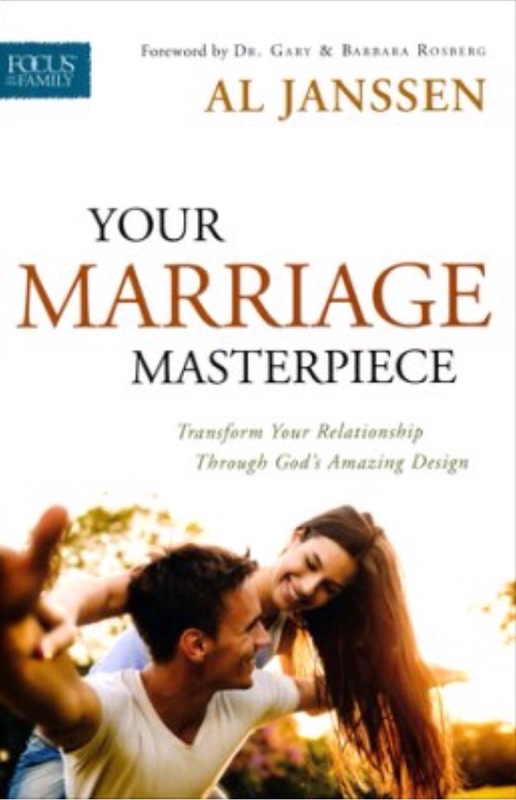 I’ve read several great marriage books, but what stands out about this one is how inspirational it is. Others are better in explaining key Bible teaching on marriage, and yet others in practical detail, but this one stands out in making you want to be what you should be in your marriage and fulfill God’s will in showing grace. Janssen clearly excels in creative writing. The book is a joy to read. He uses Bible stories and personal marriage vignettes to make his point. In his Bible stories, he stretches some of them a little beyond what the text can bear, but he makes some great points too. His use of Adam and Eve was his best and most thought provoking. One of the things that he gives us that I find too often missing is his call to sacrifice in our marriages as our Lord does for us. He believes in protection from gross abuse and practicing tough love in serious situations, but he compels us to sacrifice in our relationship. Sacrifice can feel like pain at times, but that is exactly too what the Lord has done. So many run when loving endurance would not only have honored the Lord, but also likely yielded a great marriage. Simply sticking it out helps many as most couples who dedicate themselves to the marriage, usually rate their marriage great five years later. Selfishness makes many run. For example, he uses Hosea and Gomer, as well as a modern-day Hosea and Gomer to well make his point. (Chapter 14 is riveting). This turns out to be an updated edition, but somehow I missed the earlier one. In any event, it is a jewel. Politics has always had a dirty side. There has always been politicians that were crooked and left you with skeptical feelings. For generations we have felt that some government officials and candidates played with a stacked deck and we were the fleeced victims. But nothing matches where we find ourselves today. I heard a pundit say no one would have believed one year ago that we would be where we are today. One year? Can you believe it? Did we fall through a time portal? Trump and Clinton are racing to the bottom. The last week or so we have reached warp speed. Everyone is following the polls, but I will report an actual result to you–they have both won. Both have shined in the narcissistic, immoral, unclassy, and disgusting category. My wife and I watched the two debates and agreed before the political analysis was given that Clinton won the first debate and Trump won the second one by a mile. Still, if you win a fight in a septic tank, was it really a victory? Here’s a question for you: how do you think Ronald Reagan would have reacted in such a debate? He likely would have walked out thinking the whole thing below the dignity of the office sought. For those happy that Trump is the Republican nominee, do you really think he can carry the mantle of Ronald Reagan? If so, that mantle must have spent years putrifying in that same septic tank. Don’t suppose I feel better about Hillary Clinton and her antics (including the likely holding of a damaging video by NBC to strategically being used as an October Surprise). The only difference for her is that she plants flowers on the septic tank to hide it while Trump lifts the lid and invites you to look in. Here’s the truth about these two. I wouldn’t turn my back to either of them. I wouldn’t trust my wife or daughters being alone with Trump or Clinton’s husband. I would hate to make Trump mad as he would lie and trash my character nationwide. I would hate to make Clinton mad because I might find myself in a shallow grave. The Bible characters they most remind me of are Herod for Trump and Jezebel for Clinton. I still am uncertain about what I will do in the voting booth in a few short weeks. I still plead with my fellow Christians not to turn on each other. Let’s respect each other in what is really an impossible choice. But let’s agree on one thing and not be naive. America loses with either Trump or Clinton and there is no viable third choice. If Clinton wins Christianity will be attacked further and we will go so far into socialism we likely can’t come back. And, yes, she’ll ruin an already diseased Surpreme Court. If Trump wins he will likely give rise to conflict or even war. He will trivialize Christianity (because some Christians have so positively pushed him) and destroy the Republican Party and the future possibility of a conservative Renaissance. Maybe Congress will hold either of them in check, but does their track record during the Obama Administration give you any realistic hope on that account? Some might accuse me of forgetting about my Lord as they read this article. I have not forgotten Him at all, but am thinking about what He is saying. I love America, but to assume the Lord is pro-United States no matter what is an unreasonable theological conclusion. The truth is that our Mighty God has spoken. The fact that it will be Trump or Clinton reveals that His Word to us is one of chastening. I can almost close my eyes and hear Isaiah or Jeremiah or Obadiah saying it. We foolishly act like our counterparts in Old Testament Israel when we ignore the plain facts and say God wouldn’t do that to the USA. They said that in Jerusalem too…right up until it fell. I write not of dispair, but of sensible strategy. My goal is to stay close to my All-powerful Lord as Trump and Clinton cross the finish line at the bottom. I relish that Christ remains at the top. Here is a paperback reprint of a classic. It’s been held in high regard for several years and has not yet been superseded. As I have delved into it, I am most amazed by its depth and scope. Some have found it too detailed, and I suspect we might want to use it more as a reference tool than for fireside reading, but it still holds great value as you track down theological themes in the New Testament. When we say detailed, we mean 1000 pages. It actually takes through page 74 to describe how he thinks NT theology should be approached! He covers every topic thoroughly. You will know pretty much all that the New Testament has to say on the subject when you are done. I once read a criticism of this work that it doesn’t do too well in pointing out specific contributions to the whole each section makes. For example, you might not easily find what Paul added to the discussion. The truth is, there are many such volumes that explain those distinctions, but very few that give this comprehensive viewpoint. For that reason, this book remains indispensable to the theology section of your library. Here is an attractive, helpful book that will be a great boon to students of the Scriptures. 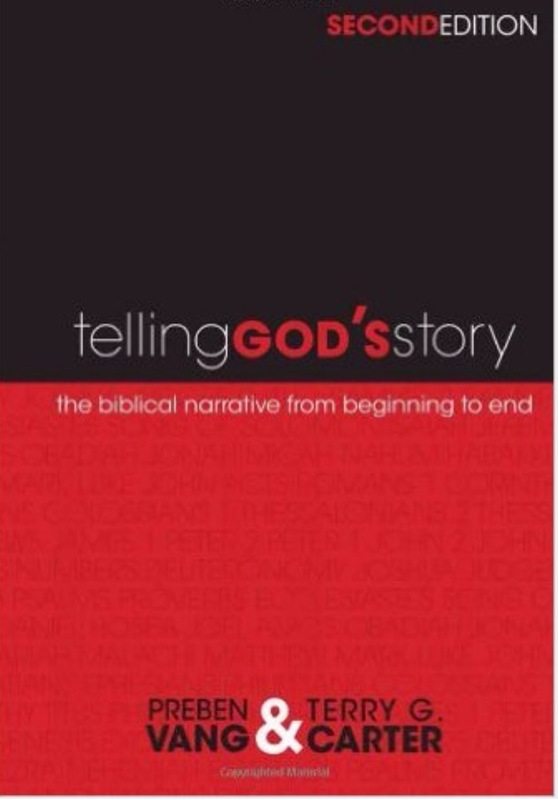 While you will find some similar material to an introductory-level Survey of the Old and New Testaments, this book has the unique approach among such works of making us see the Bible as one story. Since so many lose sight of the unity of the Bible, this approach is especially valuable. 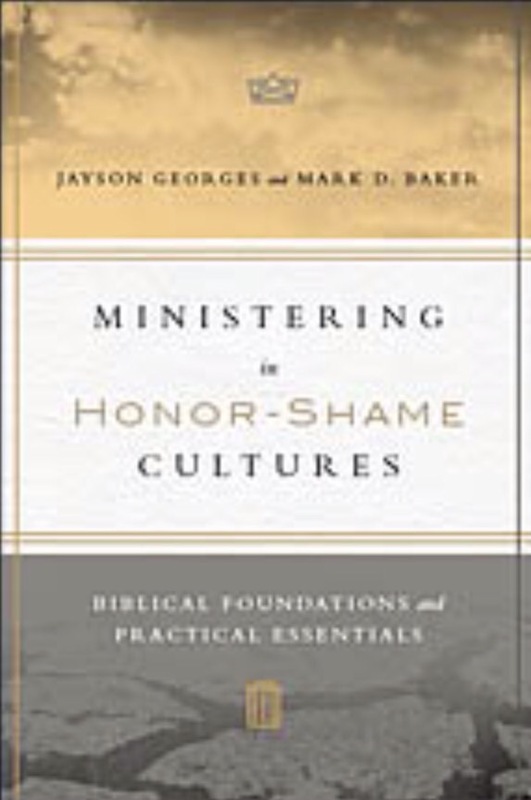 Authors Preben Vang and Terry Carter, both professors who teach this material, evaluated exactly how the first edition had succeeded and failed in presenting the Biblical narrative and strengthened this Second Edition with that evaluation. This book’s value is even more enhanced by the great maps, fine charts, and overall visually appealing design of the book. My teenage son walked by, picked up the book, and said it looked so interesting that he wanted to read it. I can hardly think of a more ringing endorsement of the book’s worth. The writing is good as is the deftness in choosing what material is best suited to teach the narrative of the Bible. My recommendation would be to secure this volume in addition to a more traditional survey. You won’t be disappointed.